The holiday season is in full force and if you’re anything like me you haven’t even started Christmas gift shopping. And if you’re one of the ones who’s already done with everyone on they’re list, I have one word for you, HOW?! My list is honestly not that big, just all immediate family and our best friends. A few other people that I always add to my list are the boys’ teachers, church friends and our awesome neighbors. I don’t always know what o get them but one thing I learned is that the gift doesn’t matter. What matters is the feeling they get when they realize you thought about them during the holidays. Another thing I’ve learned is that a DIY Christmas gift makes for the best gift. 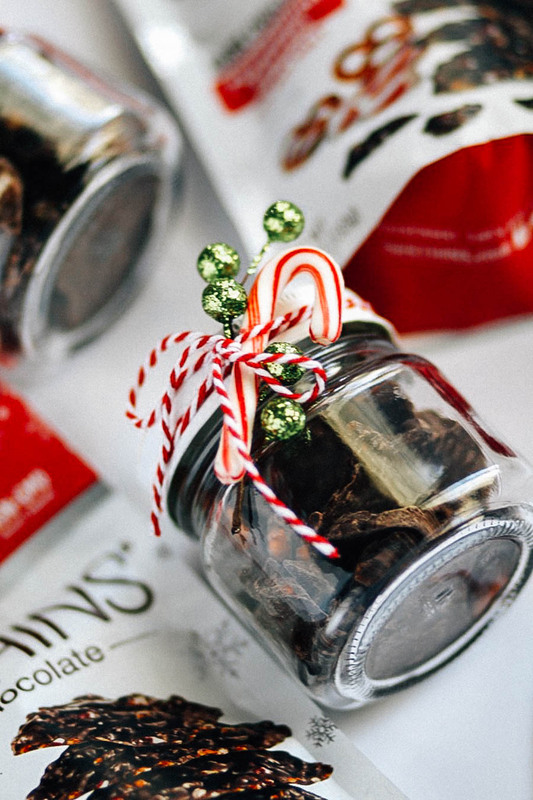 That’s why I want to share with this super easy 10 minute DIY Christmas Gift Idea with you. This is seriously SO simple, you can put these together in literally 10 minutes or less. Perfect for last minute gifts for neighbors, teachers & co-workers. 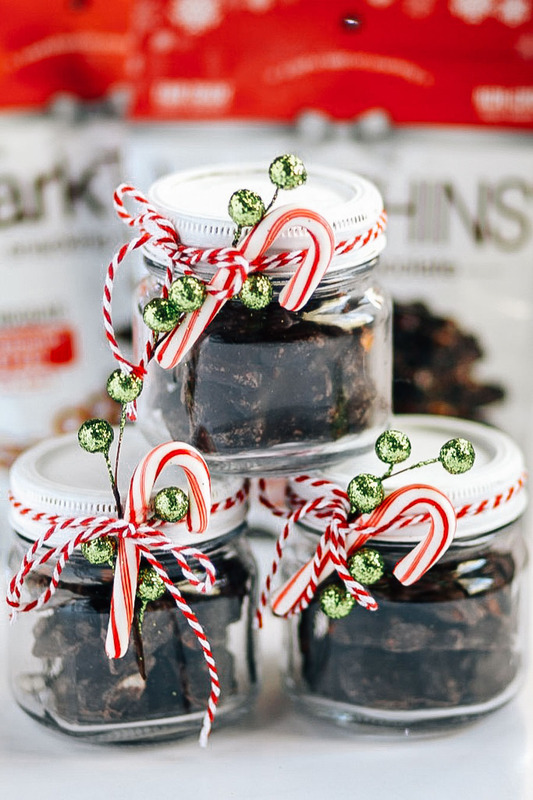 Once you’ve gathered all your supplies, all you really have to do is fill up your mini jars with barkTHINS®, put a lid on it, wrap some twine (or ribbon) around and add a candy cane & decorative berries. You can also add cute tags to write the gift receivers name it. Finish it off by tying it into a bow and you’re done! See how easy that was?! 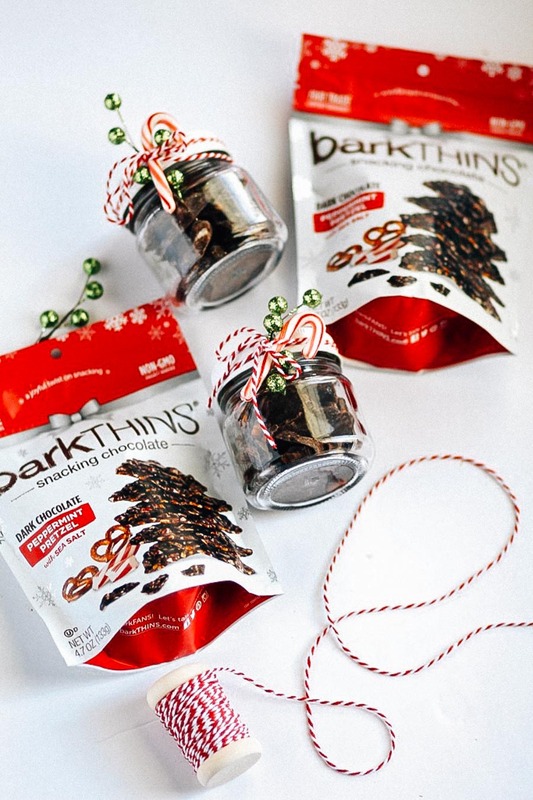 * Thank you to barkTHINS® for making this post possible. I hope you guys liked this super simple & yummy gift idea!